Beasts and Bards - poems and tales of all things scaly, secretive, sly and savage. In Cambridge. On Saturday 21st February at 8pm. Oh my! 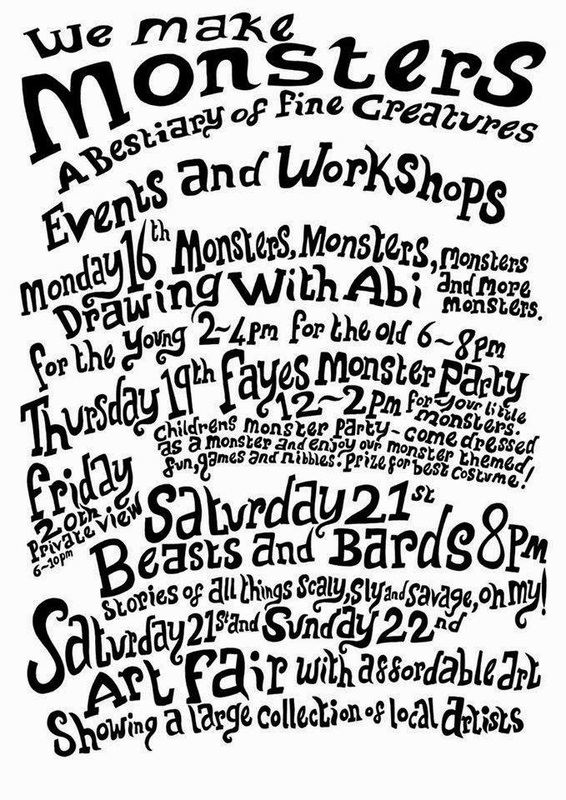 Poets and storytellers bring you tales of creatures mythical and monstrous as part of We Make Monsters, an exhibition of work by Baggelboy illustrated things and Abi Stevens Illustration. The event is hosted by Crafty Cambridge and Changing Spaces. The venue is Changing Spaces, 9 Norfolk Street, Cambridge, CB1 2LD. Saturday 7th February, 2pm - Poetry at The Story So Far Launch in Acton Library, London. 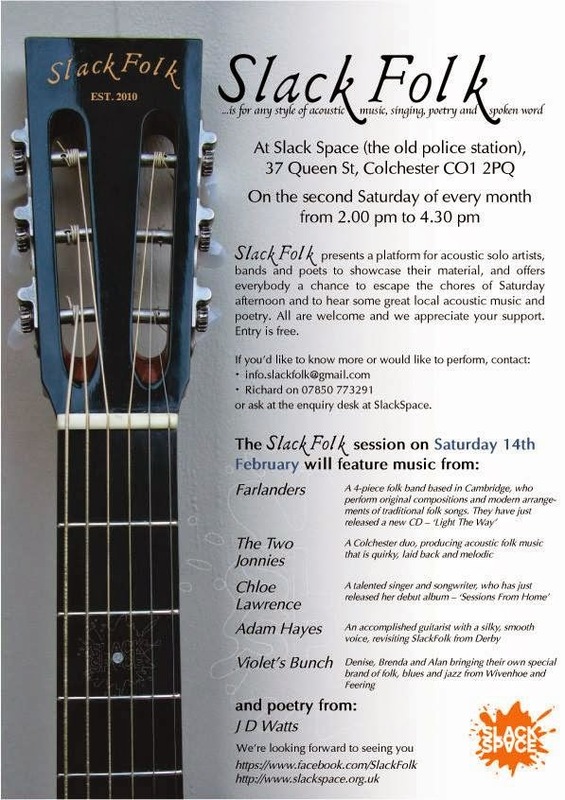 Saturday 14th February, 2pm - Poetry at the SlackFolk folk music event at The Old Police Station, Colchester. Saturday 21st February, 8pm - Poetry and Stories at Beast and Bards, part of the We Make Monsters exhibition at Changing Spaces, Cambridge. For further details, full venue addresses and updates please go to the Events Page of this website. 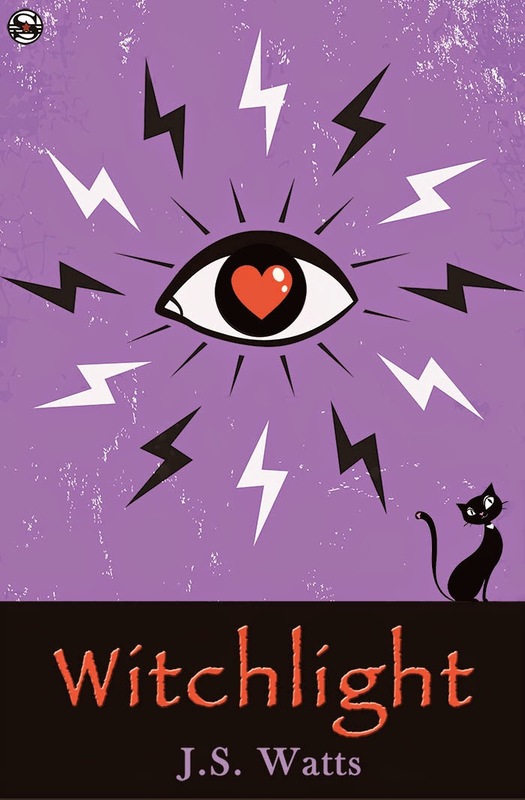 Looking further ahead, there is going to be some exciting news for March and May: Witchlight is growing ever brighter!